This bauta mask - 'Michele 1' - combines color with the delicate tones of gold leaf. Embossed stucco embellishes the mask without weighing down the final effect. The white color centered around the 'chin' balances the mix of colors in the upper part. 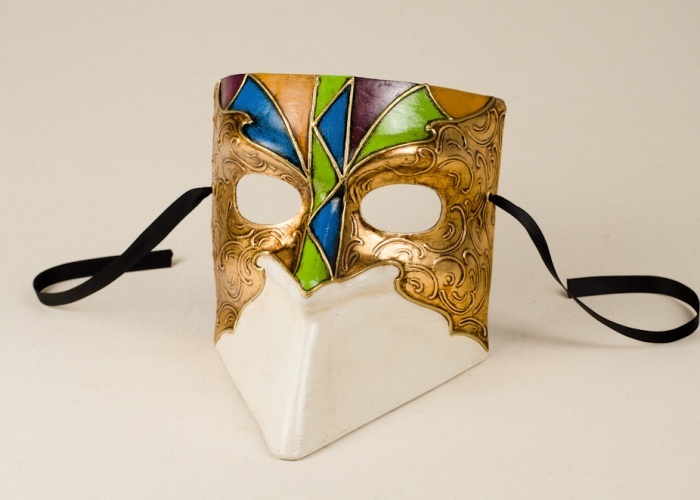 The 'Michele 1' is often chosen by those looking for Venetian masks for men.